Firstly, I think I have to own up. My blog is no longer recipes365 but recipes365ish... I just did not find the time or nerve for cooking and baking over the weekend. 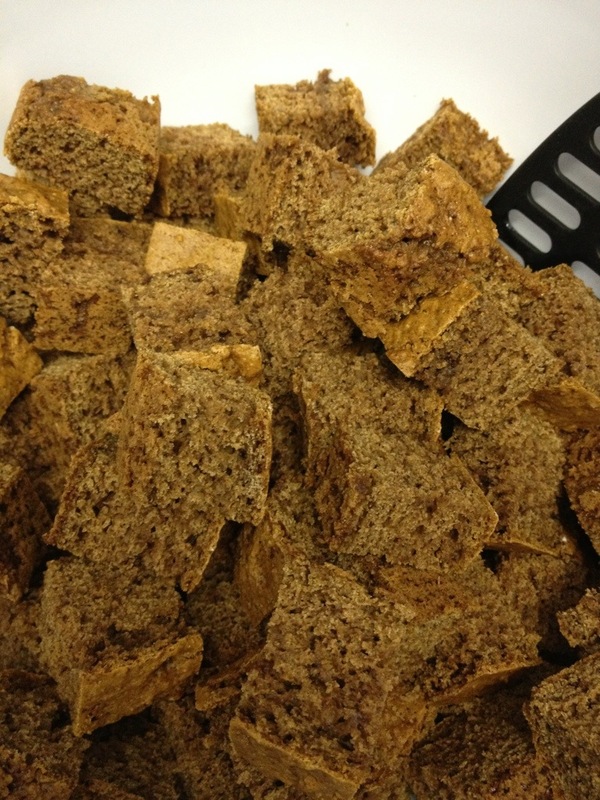 But today I made Magebrot which translates into Stomach Bread. It is a snack typically sold at fun fairs and similar events. It is very sweet with wintry spices. 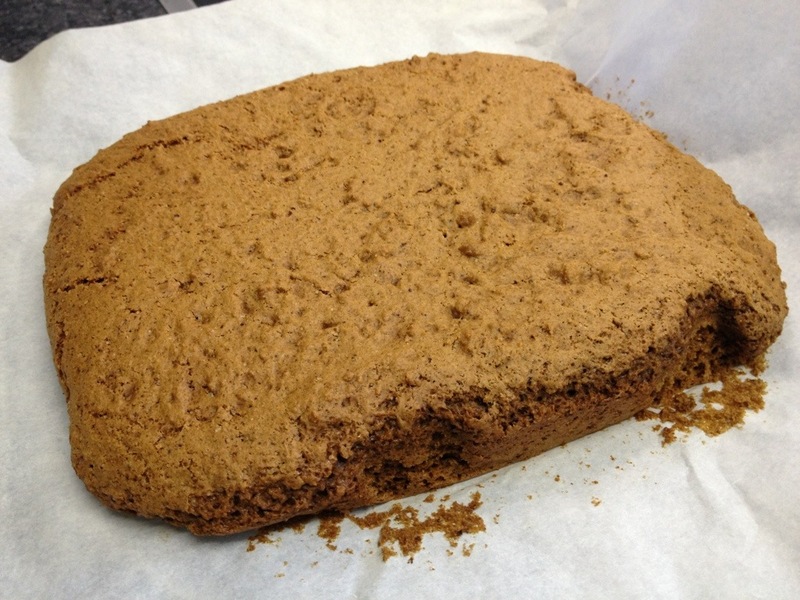 For about 40 pieces you need 250g brown flour (Ruchmehl), 125g brown sugar, 1 tablespoon chocolate powder, 1/2 a tablespoon allspice, 1/2 tablespoon cinnamon, 1 tablespoon baking powder and a pinch of salt. Put all of these in a bowl. 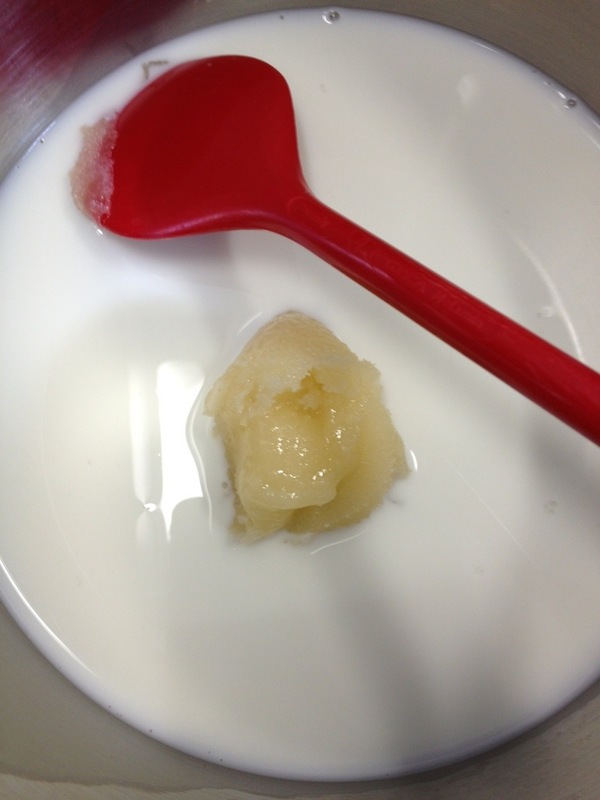 In a pan mix 1.25dl water, 1.25dl milk and 50g honey and warm it until the honey has melted. 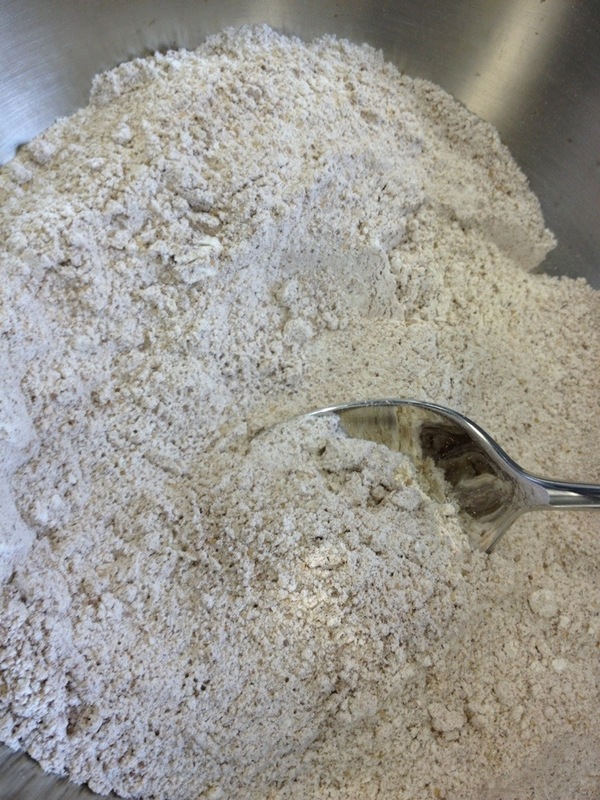 Add the liquid to the bowl with the dry ingredients and mix well. 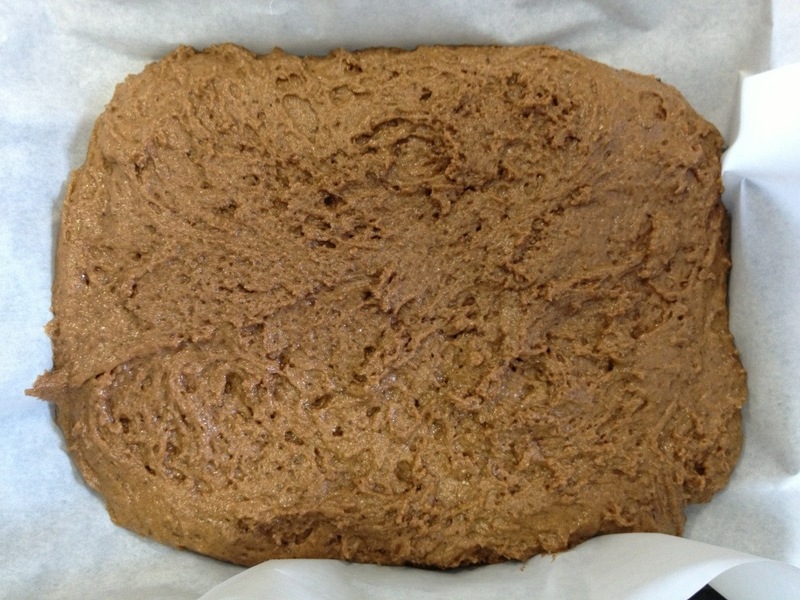 Spread out the dough on a baking tray until it is about 1.5 thick. Bake at 180C for about 15 minutes. Then leave to cool and when it has cooled down cut into 2cm by 4cm pieces. 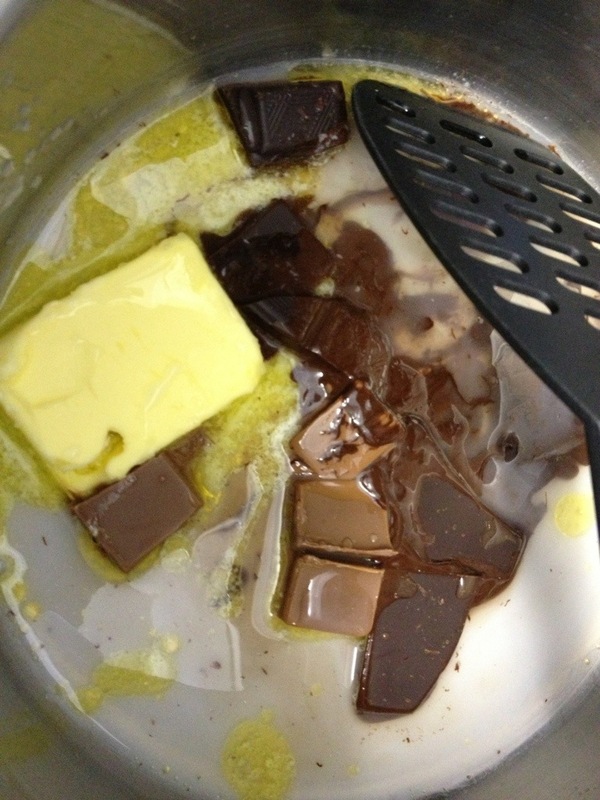 In a pan melt 10g butter and 60g chocolate (I used half dark and half milk chocolate) with 3 tablespoons water. 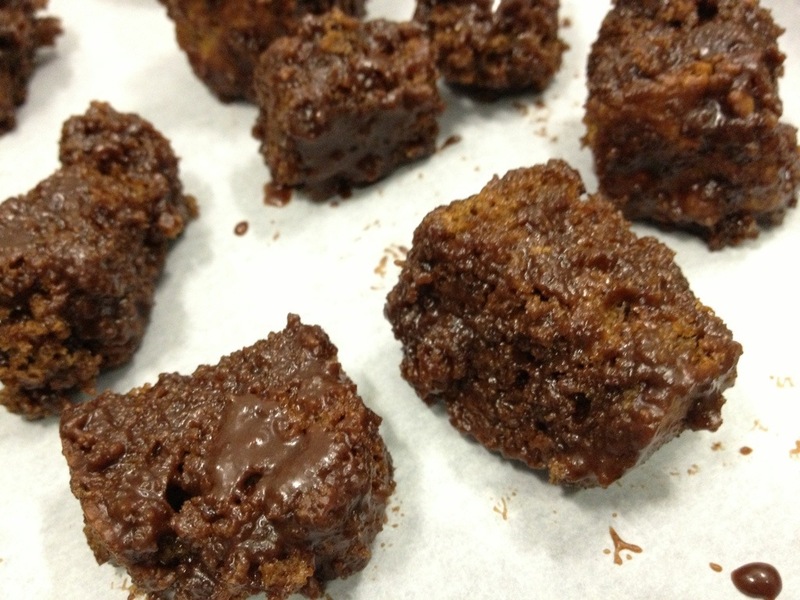 When the butter and chocolate have melted, stir in 1 tablespoon chocolate powder and 125g powdered sugar. 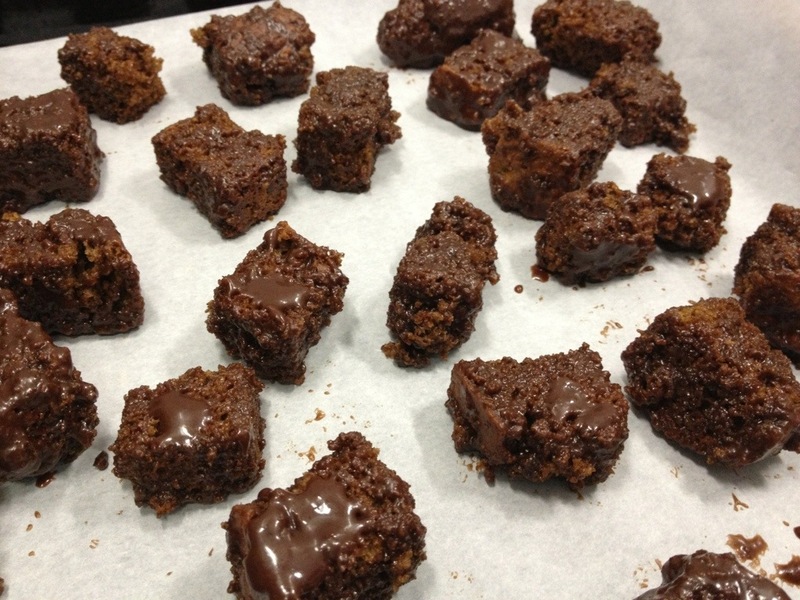 Now cover small batches of the cut up 'bread' with the chocolate glaze by giving them a good stir in a bowl.